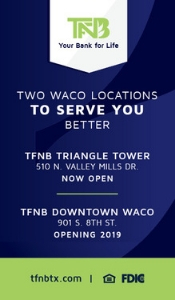 Article written by Carlos Hinojosa, Development Director at the Family Health Center, published in the fourth quarter edition of the Greater Waco Business magazine. Need medical or dental care? The Family Health Center is here to help, and high-quality care is our specialty. With 14 locations throughout McLennan County, the Family Health Center has a location convenient for you. Family Health Center’s mission is to improve the wellness of the underserved and vulnerable residents of the Heart of Texas by providing effective access to high-quality, comprehensive primary healthcare. Family Health Center (FHC) has been known by several names over the years. 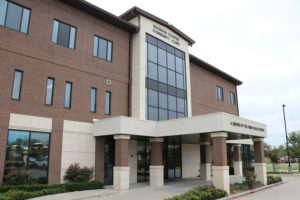 Whether you know it by Waco Family Practice, or Community Health Clinic, FHC has been in Waco for 48 years, officially starting in July of 1970 in what was once Providence Hospital on 18th St and Colcord in Waco. The FHC Main Site is still there, although Providence Hospital has long since moved. The idea for FHC started in the late 1960s, when there was a shortage of physicians in McLennan County to address the medical needs of the county. Emergency services were inadequate, hospitals were financially strained, and the indigent population, McLennan County’s most vulnerable residents, were drastically underserved. Local leaders could see that the physician population was small, and advanced in years, so something had to be done to attract young physicians to the area. 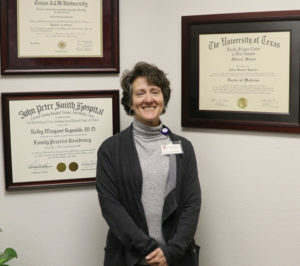 With support from the City of Waco and McLennan County, the Waco Residency Program was established to train recent medical student graduates in Family Practice (now known as Family Medicine). Since that time, over 400 physicians have completed their residency training in Family Medicine, and FHC’s residency program is one the finest in the nation. 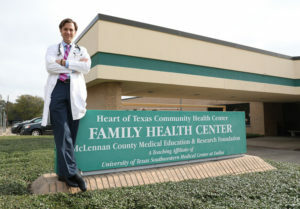 More than half of the Family Medicine doctors here in the Greater Waco area were trained at the Family Health Center. But FHC is more than just a residency training facility. It’s the place where the majority of the most vulnerable population receive their medical care. There are currently over 96,000 people in McLennan County that live at or below 200% of the federal poverty level, and last year alone, Family Health Center saw over 58,000 patients. Whether patients are on Medicare, Medicaid, have third-party insurance, or have no insurance at all, we exist to serve them. The work that is going on at FHC is always exciting. As we attempt to increase the standard of care our patients receive by expanding our services, we are also trying some different and innovative approaches to medicine. Thanks to our partners at the Episcopal Health Foundation, we have started to look at healthcare a little differently. Instead of a model of sick care – where someone gets sick and seeks treatment – we’re working on a model of well care. Well care focuses on maintaining a healthy lifestyle through getting enough exercise and eating nutritious food. In the fall of 2017, we opened our Wellness Center at our Madison Cooper Community Clinic location. The Wellness Center exists to help patients of Family Health Center learn and practice how to eat more healthily and be more physically active. 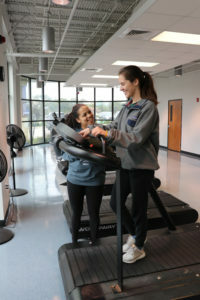 Baylor graduate students studying exercise physiology serve as Fitness Advisors, helping patients on their way to a healthier lifestyle and getting them accustomed to working out and using cardio and weight machines. We have also partnered with World Hunger Relief, Inc. to create a Prescription for Produce program, where patients who aren’t getting enough fruits and vegetables in their diet can get prescriptions to increase access to fresh produce. Since opening, the Wellness Center has had over 350 people visit and begin their journey to a healthier life! 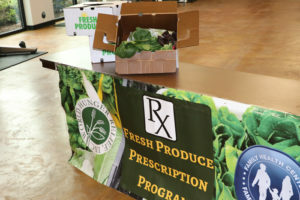 During the spring season alone, the Prescription for Produce program has seen over 1,300 boxes of fresh produce distributed to patients who received prescriptions. The response from our patients has been outstanding. Several of our patients report back to us about how their health has improved, and how good they feel having access to a better diet and a place to work out. Another area of excitement at FHC has been the search for a new Chief Executive Officer. In 2017, Dr. Roland Goertz announced his plans for retirement after 22 years of service to FHC and the Waco community. A nationwide search began and resulted in over 270 candidates competing for the role of CEO. The search committee unanimously recommended one candidate, and the Board of Directors unanimously approved the appointment of FHC’s very own Jackson Griggs, MD, for the role as CEO effective February 25 of 2019. Dr. Griggs completed his residency training at FHC and then joined the faculty, where he has helped train more than 150 family physicians. As sad as we are to see Dr. Goertz step down, we are very excited to have a familiar and well-respected physician filling the role as CEO at Family Health Center. 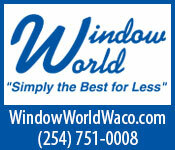 So much has changed since we began our service to McLennan County 48 Years ago. We’ve grown in the number of resident doctors we train, the number of clinics we have, the services we provide, and we’ve even changed our name a couple of times. But we still have the same commitment to our community, and our community leaders are still committed to us. You also can help! Whether you are a local official, a business owner, employee, stay-at-home parent, student, or just a local resident – we need your help, and there are several ways you can do that. First, come visit us. If you want to get more familiar with what we do, come take a tour, or schedule a visit with one of our caregivers or dentists. See for yourself all of the exciting things that are happening here. You can also volunteer. Baylor students are our most frequent volunteers, but opportunities exist for everyone in the community. Whether it’s helping out in our Wellness Center, or reading books to the children in the waiting areas of our clinics, we have a job for you. And lastly, you can give. While much of our income is generated from patient visits, we are a nonprofit organization and your gift matters and makes a difference. Whether you give to the Community Gathering Space that is planned, the sustainability of the Wellness Center that has changed so many lives, or to help make sure our patients who can’t pay can get the medical care they need, your gift is important. Whether you give of your time, your talents, or your treasures, the Family Health Center would not be here without the support of this community.